Yay! 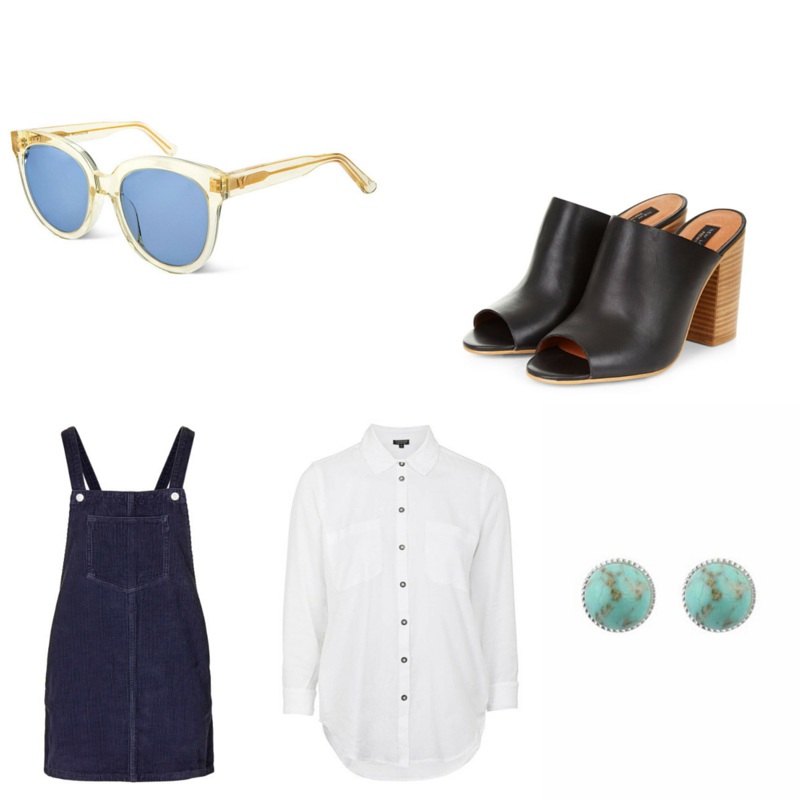 I've done another How To Style post! I feel like I haven't done one of these in ages. I love writing about fashion but for some reason I always get nervous when I do. I'm going to stop being silly and put more fashion posts up here on In Ella's Element. So today I'm sharing 3 ways to style this pinafore dress from Topshop. If you feel like toughening up your pinafore dress you can do so quite easily just add a band tee and a pair of boots and you are ready to go. 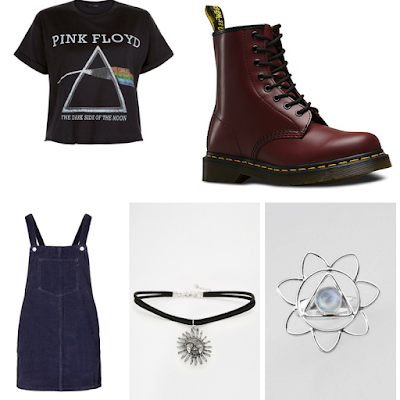 Add a choker necklace to give the outfit a real 90s vibe. Pinafore dresses are great to wear in the summer, just add a gorgeous pair of sandals and a hat and you're good to go. You wouldn't think that you would be able to dress up a denim pinafore dress but believe me, you can. Just add a button up white shirt and a pair of mules. 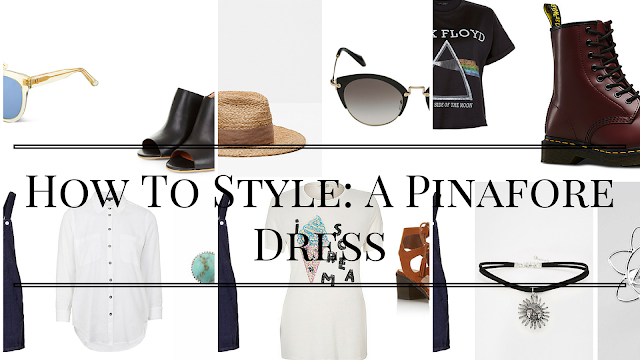 So those are a few ways you can style a pinafore dress. 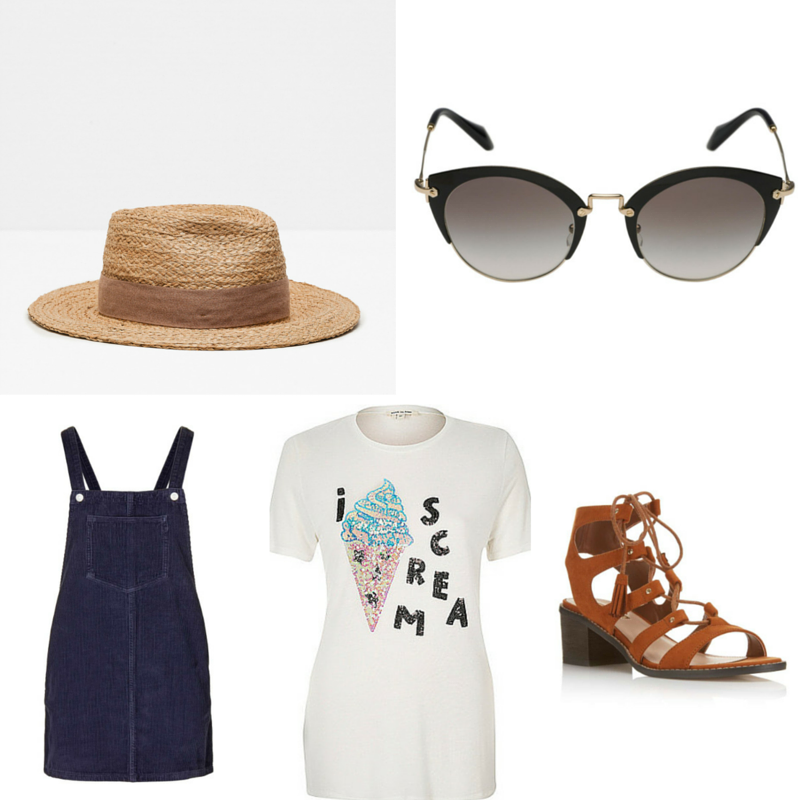 I hope you enjoyed this post, which of these outfits did you like? 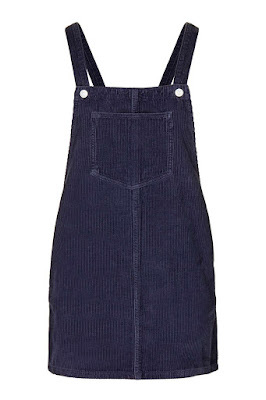 How would you style a pinafore dress? Thank you I'm really glad you liked it! Aw thank you Kim you are so sweet and lovely! You would look gorgeous in it but then you look gorgeous all the time! Love you millions lady! Thank you for your wonderful suggesstion!If I wanna choose any necklace for me keeping your words in mind,I would rather choose Pearl Rhinestone Choker. I think it will make me look modern and classy and very stylish like you!